Prof. Morandotti’s research chosen as one of the top ten discoveries in Quebec. For the second year in a row, a scientific advance by Professor Roberto Morandotti’s team at the INRS Énergie Matériaux Télécommunications Research Centre has been chosen as one of the top ten discoveries of the past year by Québec Science. 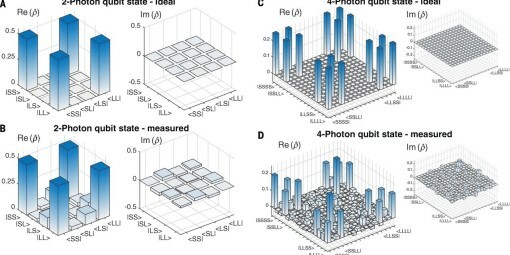 A team of researchers has demonstrated that on-chip quantum frequency combs (light sources comprising many equally-spaced frequency modes) can be used to simultaneously generate multiphoton entangled quantum bit (qubit) states. This kind of complex quantum states forms the base to build quantum computing applications. The fact that the involved technologies are compatible with CMOS and fiber optic transmission, renders it more important for future developments and brings us closer to the era of quantum computers.